“This award is a morale booster for people who want to write, and fight,” Gauri Lankesh’s sister Kavitha has said. 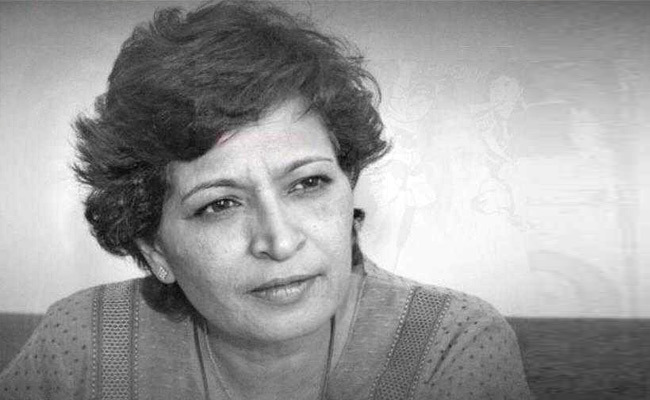 New Delhi: Gauri Lankesh, journalist and editor of Kannada tabloid Gauri Lankesh Patrike, who was shot dead in her home on September 5, has been posthumously honoured with the annual Anna Politkovskaya Award on Thursday. This year the award, given out by Reach All Women in WAR, also went to Pakistani activist Gulalai Ismail. Ismail has faced death threats for speaking out against the Taliban in northwest Pakistan. “Today, Thursday 5th of October 2017 RAW in WAR honours Gauri Lankesh and her fearless journalism as a strong critic of right-wing Hindu extremism, campaigner for women’s rights, fiercely opposed to the caste system, and campaigner for the rights of Dalits. A senior Indian journalist and activist, Gauri just like Anna Politkovskaya before her, was shot dead outside her home in Bangalore on 5th September 2017 in order to silence her voice and her critical reporting and activism,” the organisation said in a statement today. Politkovskaya, a Russian investigative reporter who wrote about state corruption and rights abuses, was shot dead in the lobby of her Moscow apartment block at the age of 48 on October 7, 2006. The London-based organisation RAW in WAR established the award in her honour.